Better than the second but not as good as the first. The plot is very thin for a story that tries to tell way too much. This results in confusing and incoherent scene after scene with impressive effects, poor acting and a feeling that the lack of sense of it all is just lame. It feels like the writing of the script was rushed and only the bullet point list from a brain storm ended up as the movie. Maybe it should have been divided into two movies and then added some more flesh to each individual story. Sandman? The idea for the character is allright, but the ending for his story just sucked. Venom? One of my favorite villains but we never get to know good enough or explore what he is capable of. This is a shame. Though I find the spoof with Bruce Campbell entertaining, I do not think it is suited for a Spider-Man movie. It should have been done a bit more serious in my opinion. 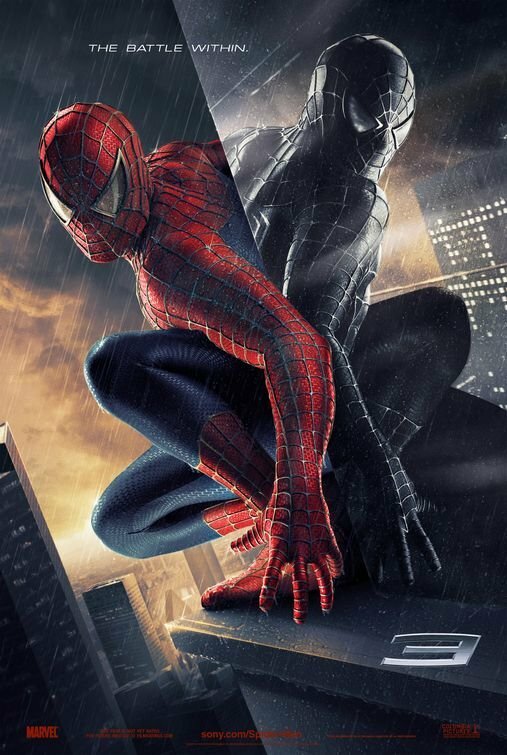 As goes for the two first Spider-Man movies, I do not like Tobey Maguire as Spider-Man, and in this one I think he is even worse. The part where he is supposed to play this “tough guy” just makes him seem like a kindergarten boy playing tough. Unfortunately we do not get to see Kirsten Dunst that much in this movie, but what we do see seems allright. I am wondering if the part where she is singing is actually her singing or if it is just some movie trick. If it is her I am impressed. In my opinion the best actor in this movie is James Franco. Maybe this performance is why he landed the gig for 127 Hours. The effects are just as good as the other Spider-Man movies. There is not enough swinging about in the spider web in my opinion though. Watch it if you like Spider-Man, Marvel, super heros etc. Do not start with this one though. It is a bit disappointing.